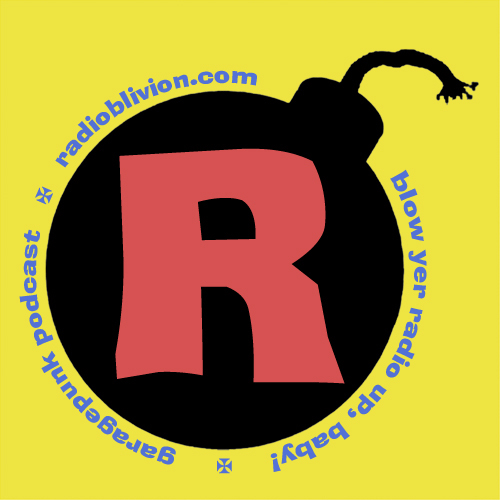 Eppy-sode 57 of RadiOblivion is much like the proverbial Heinz product: its got a bit o' everything, baby - As heard LIVE on Real Punk Radio! Get Wild & Primitive with Fun Things, the Tell Tale Hearts, the Jackets, the Vibes, the Ills, Organs, Boss Mustangs, Sunny Domestozs, Loli & The Chones, Mouthpiece, and a whole hour's worth o' POUNDERS. Took a couple tracks from the Podsafe Music Network over at Music Alley. Bands, upload a few of yer best tracks there and let us Podcasters n' Broadcasters from all over the Galaxy play 'em and promote 'em for you.